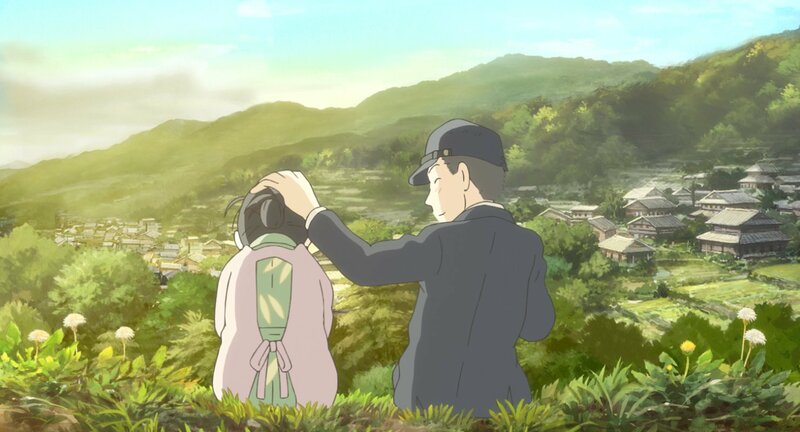 The director Sunao Katabuchi has just announced that he will be re-releasing his Hiroshima film In This Corner of the World with half an hour of bonus footage, interleaving other scenes from the original manga. I am rather surprised that everybody appears to be pleased about this, and not kvetching that they have already paid to see the film once, and now will have to pay to see it again, at a bum-numbing 159 minutes. In This Corner is arguably a special case, since it was crowd-funded from the start, and its director might, presumably, genuinely have other bits he wants to tinker with. Art is never finished, as they say, only abandoned, and it’s easy to see why creatives given the chance to fiddle with their work will jump at the chance to improve it. One of anime’s worst-kept secrets, after all, is the number of releases that are buffed up after their hasty cinema release or TV broadcast, toshed up a little before anyone gets the chance to spot mistakes and fudges on home media. But I’d like to register a possibly lone protest about the ongoing fetish for “director’s cuts” that, far from honing work of art a little bit closer to perfection, simply hang adornments on it in a cynical attempt to fleece customers of more money. Culturally, there seems to be a fetish in Japan for making films as long as possible so that everyone feels that they are getting their money’s worth. I used to think this was a hold-over from the pre-video days when TV serials were re-cut for cinema release, whereby producers felt that if they couldn’t show you anything new, they could at least give you a long film. But such economies simply don’t work in the world of original anime, where every frame you see has to be painstakingly created from scratch. Whisper it, then: sometimes this is really counter-productive. As a case in point, Cowboy Bebop: The Movie, for which the film-makers actually boasted in their publicity that they had taken a taut, lean 90-minute thriller and bloated it with half an hour or unnecessary filler. Sometimes less, really is more, and I am baffled by creatives’ willingness to test the patience of their audience. Sometimes I wonder if some film-makers are really making films for human beings at all, and instead have an eye on appeasing a robot at a streaming service, that only counts minutes accessed, rather than stories told. Jonathan Clements is the author of Anime: A History. This article first appeared in NEO #180, 2018.